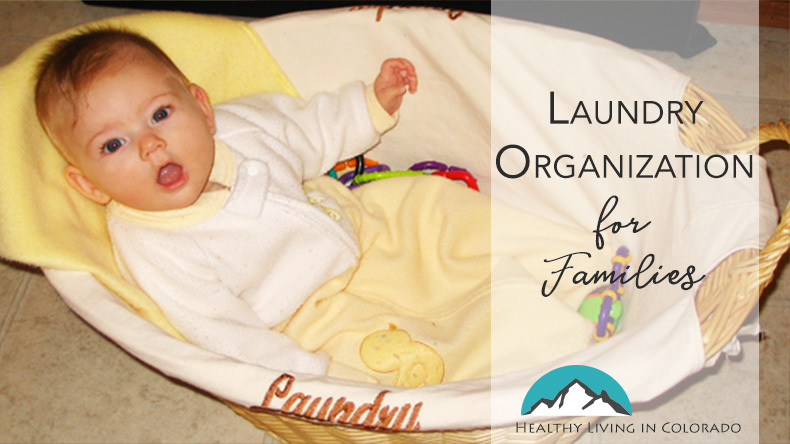 Some families have a difficult time with laundry organization, especially when there are several children. Read these tips to help you with your piles. A while ago I was thinking back over several of my clients, and one common theme they all shared was in the realm of laundry organization. There were piles of dirty clothes all over the house, clothes piled up by the washing machine, a few baskets full of clean clothes that needed to be folded, and folded clothes not yet put away. Perhaps you can relate. There are a few ways to tackle piles of laundry. The first is just to start. Go put a load in the washer right now! Now that you are back, read on! It may sound strange, but one way to conquer the laundry beast is to get perspective on dirty clothes, washing machines, and dryers. I watched a show on PBS several years ago about keeping house in the early 1900s, and I have never been so thankful for a washer and dryer! These people owned two or three outfits, wore them repeatedly, then washed them by hand. You could let doing laundry be a daily irritant, or you could choose to be thankful that you have more than three outfits to even launder, and be thankful for the machines when you realize how much time you save by not having to hand wash and air dry. Now that you are grateful, assess your situation. Is the problem that it takes a long time to sort all your clothes? 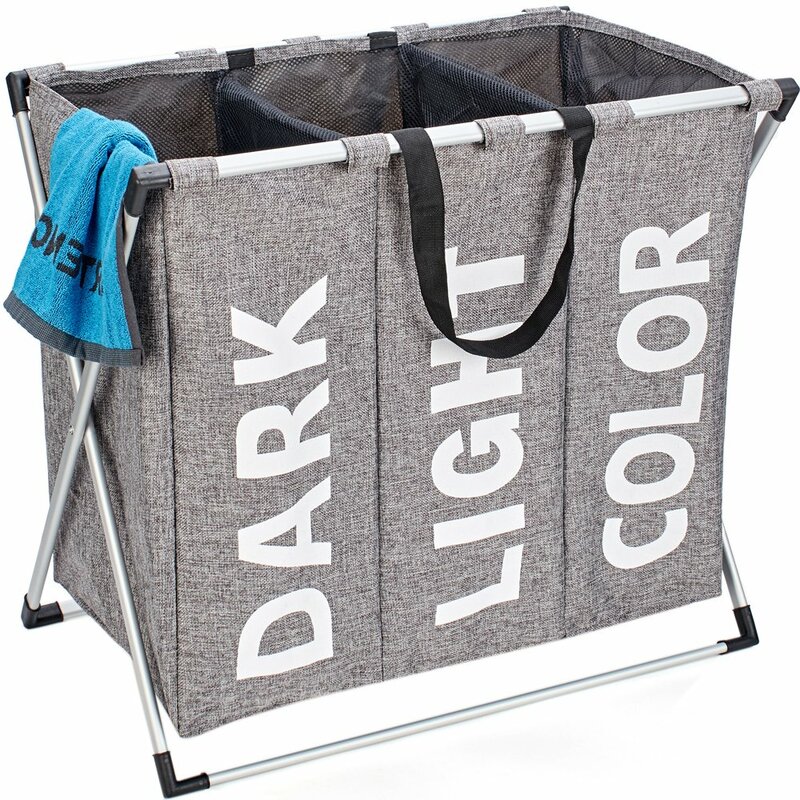 Then save yourself the time and buy another laundry basket. Have one for darks, and one for whites. When a basket fills up, put it in the washer. Is the problem forgetting to finish a load? Leave a reminder, like the laundry basket, in the room where you are. When you pass it by, you will remember to change the laundry over. Is it not having time to fold it? Don’t start the dryer until you are sure you will have time to fold as soon as the dryer stops. If you know that at 9pm you always sit down to watch TV or talk to your spouse, start the dryer at 8:20. The clothes will be done, and you can fold at 9. Is the problem ironing? Refer to the paragraph above this one. When you fold your clothes right away instead of letting them sit in the dryer, you will drastically reduce the amount of ironing you need to do. If you have kids or a spouse, enlist help. They produce dirty laundry as well, so they could help with the folding or at least putting clothes away once you have folded them. Kids are able to put clothes away at a young age if you help them at first. As they get the hang of it, let them do it all by themselves. This could even be a chore you pay them to do. They learn responsibility and you save time. Finally, consider putting laundry into your schedule. Put a load in the wash before you leave for work each morning, and put it in the dryer when you get home. Doing a little each day will help it from piling up. If you like the smell and health benefits of a product, you are more likely to use it happily. And this makes the chore… less chore-y. We enjoy On Guard laundry detergent. This little bottle lasts for 64 loads. It is color safe for washable fabrics at all temperatures and is free of synthetic fragrances, dyes, and toxins, which makes it a safe choice for your family as well as the environment. Click here to see tips from other readers! I hope these tips help you with laundry organization. Please post your laundry tips below and share with a friend! Thank you for the tips, I do have my big kids do their own laundry, and my littles help put it away. For my family the issue is having far to many articles of clothing. Each child, and adult, can go weeks without doing wash. So when time is made to do laundry we end up spending the whole day.